The Age of Enlightenment has never ceased to fascinate. The philosophical ideas and esthetics it sparked are an unending source for inspiration and artistic research. Decades of tradition stir passionate debates around the ideal interpretation for music of this period. Yet, if there exists one style of music which remains forever modern, it is baroque music. If tradition consists of reviving flames, as opposed to venerating ashes, what could be more natural than to interpret this music again and again? Every artist brings a new stone to the edifice of this ideal and eternal art. Modern or period instruments? Why dismiss a search for authenticity? Why dismiss a more modern way of reigniting flames? Both visions inevitably converge towards a same ideal. 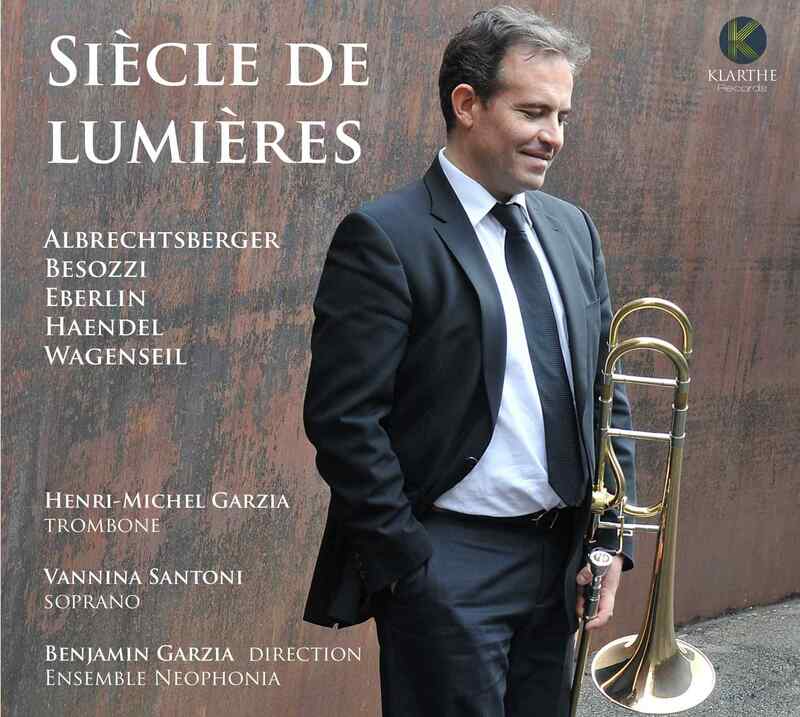 With this concept in mind, this recording offers a crossover of two celebrated trombone concerti, with other musical perspectives, such as oratorio, or transcription. 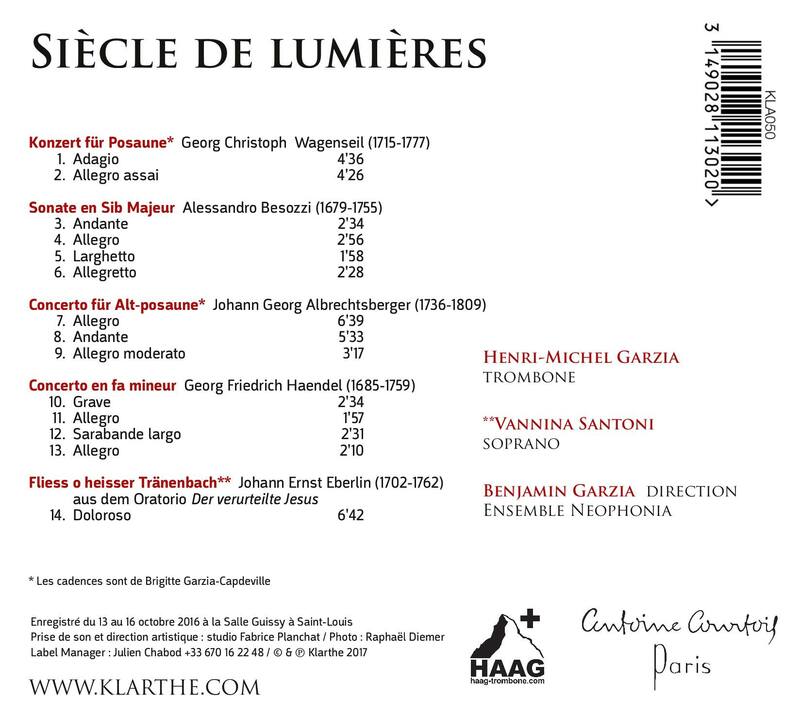 Henri-Michel Garzia offers his enlightenment on these masterpieces, accompanied by l'Ensemble Neophonia, on this journey through a century, a personality, and an encounter with the most primordial instrument, the human voice, incarnated by soprano Vannina Santoni.